My how time flies! Am I right?! As Dan and I approach our first wedding anniversary in a few short months, I thought it might be fun to take a look back at our wedding events here on my blog. First up is this gorgeous bridal shower, hosted by Debi Lilly of A Perfect Event and Jessie Pare. 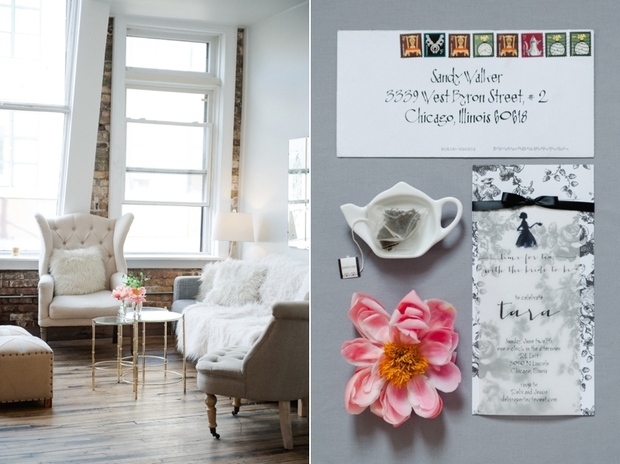 DL Loft provided the perfect backdrop for my Spring bridal tea, and also, our wedding reception! 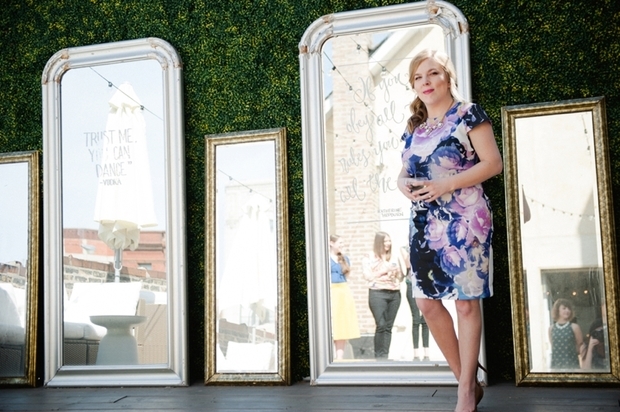 I LOVE the outdoor patio as the greenery wall serves as the perfect backdrop for photos. 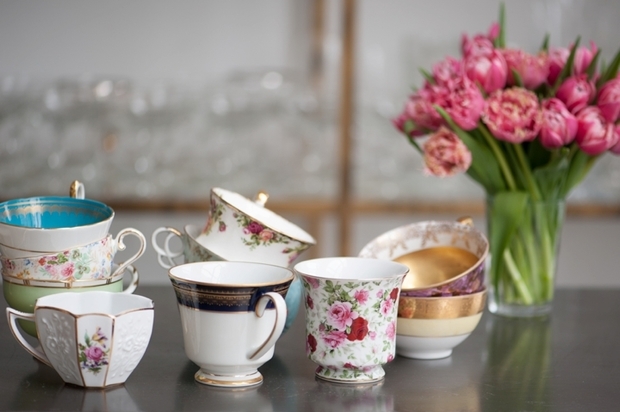 For the color scheme, Debi used heirloom teacups from my family as one of her inspirations. We placed a teacup and saucer at each place setting for the girls to use, which was really fun. Seeing these special family heirlooms being used by the important women in my life was a feeling I will never forget. Some other pretty details featured were the chic invitation and menu, DL’s signature floral ice cubes served with rose and champagne (my favorite) and the gorgeous floral used to decorate the space. We had incredible bites to nosh on; macarons, tartines, muffins, scones, mini pies and brioche bacon cinnamon bites. My absolute favorite was the insane cake bar! As if that wasn’t enough, there were little chocolate treats and meringues spread throughout the space. All this recapping has me hungry! Love drives me. A hopeless romantic at my core, I am constantly inspired by the sweet & tender moments I see between two people in love. There is no better feeling in the world than to love and be loved in return. My name is Tara & I am a photographer specializing in creative & stylized portraiture, fine art boudoir & wedding photography.